BI – Super Yacht Carpets work with partner manufacturers to ensure the very best product choice for you Superyacht. We are able to provide a comprehensive portfolio of Yachts carpets designs and textures including wool, silk linen, bamboo and many other combinations of yarns. We also supply standard ranges which are available from stock and can undertake installation where materials have been supplied directly by clients. All work is carried out by our own team of expert fitters and is fully insured and guaranteed. 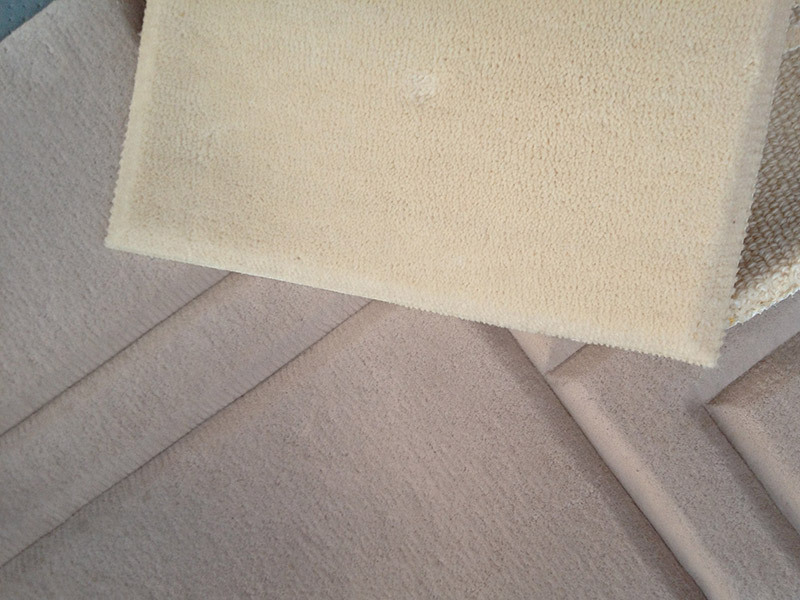 We stretch and install in the traditional method on underlay and can be supplied with relevant IMO & M3 fire rating certificates required for some superyachts. Our products are available in hand tufted, hand woven and machine tufted broadloom qualities. We are also able to produce traditional Wilton and Axminster in Brussels weave or cut pile textures and use only the very best quality yarns which can include silk, linen, wool, chenille, and cashmere, manufactured in any texture of your choice. Our floorcoverings can be made to measure as rugs or stair runners, in any design, size, or colour way to suit your theme. We have completed many custom hand tufted superyacht & home installations throughout Europe and the Middle East and have a wealth of experience in this field. For further information about our custom and stock range superyacht products please don’t hesitate to get in touch. Projects where multiple carpet companies are used we can offer a project management and consultancy service in conjunction with our fitting only service.